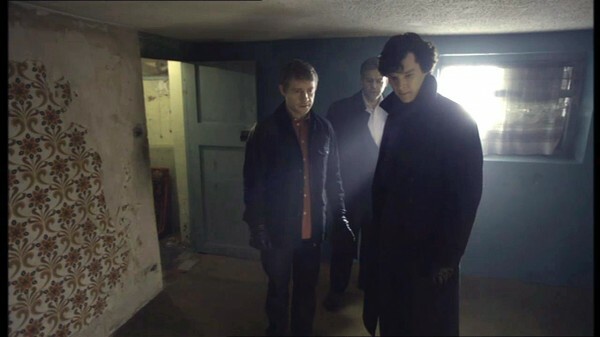 Forget the Hounds of Baskerville, Watson. This place has been trashed by the Cats of Croyden! Sorry, sorry, I’m so sorry. My only excuse is finding that one of my cats took offense and destroyed a lovely tablecloth, the phonebook, and one of my favourite vases. It doesn’t help that she has claws like griffin talons! It might possibly be due to cracking while waiting for Season 3. This entry was posted in Captions and tagged bbc sherlock, greg lestrade, john watson, Sherlock Holmes, tv series on August 26, 2012 by JH Watson.